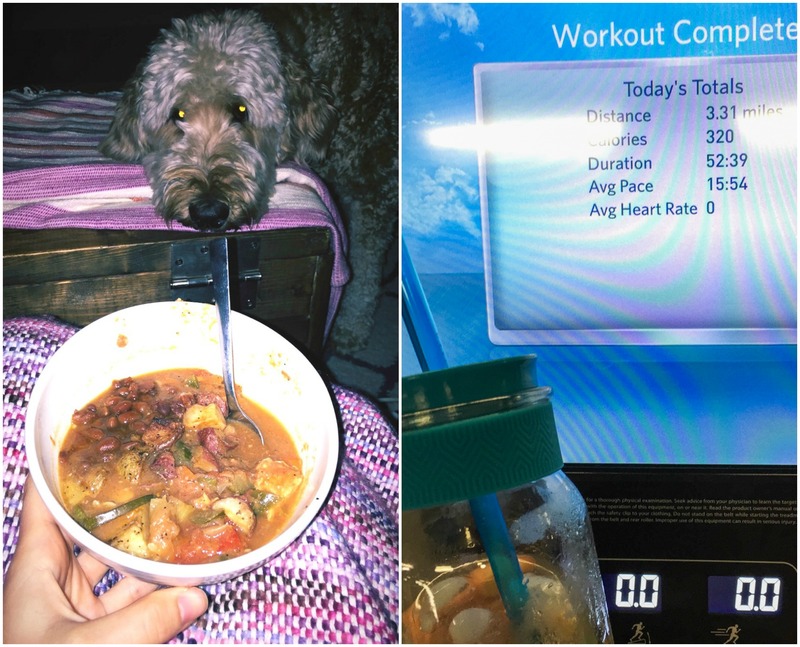 Puppachinos, Protein Balls, Treadmill Walks & A Getaway! I’m currently cuddled up on the couch eating yogurt from a mug and snuggling up next to Grumples while it pours outside. Leo is on the floor underneath my legs hoping I’ll share some of this yogurt with him. I’m looking forward to a rainy week because it’ll help me keep my focus on writing up a storm inside. When it’s sunny, I’m always eager to get outside and do something else. Luckily, I got my dose of the outdoors this past weekend. 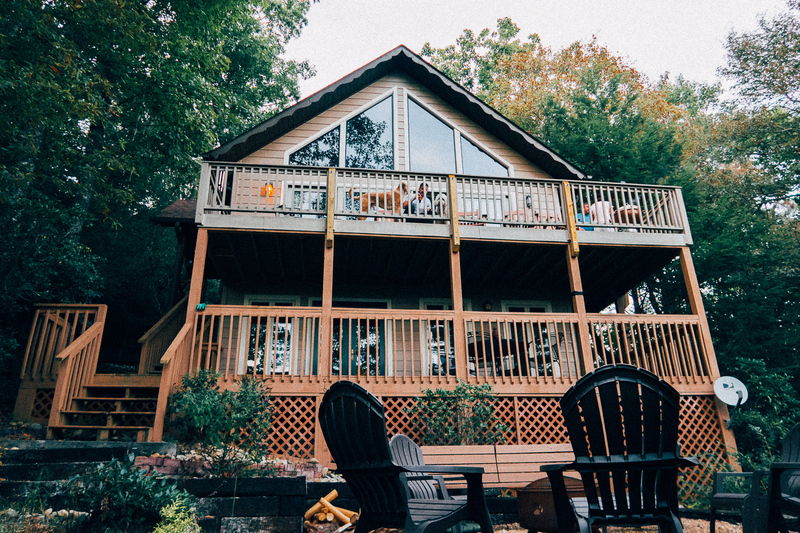 We headed up to Brevard and stayed at a gorgeous mountain house. I am so excited to share the photos and vlog with you soon. I think the images are my favorite I’ve ever taken over the past eight and a half years of blogging. I had a hard time focussing on this recap post because all I wanted to do was write about the mountain weekend! I’ll share this photo, and then try my hardest to wait until it’s finished. I started my morning off with a long dog walk with the pups and Kyle, and then made some coffee, started the laundry, and sat down to blog! I was feeling so blah and tired on Tuesday afternoon. I closed up my work and took a drive to Starbucks to grab a coconut milk latte. Sometimes it takes a coffee run to turn around the day. I also picked up some puppacinos to brighten their afternoon as well. 😊You can see the video on their Instagram page. It’s so cute! I knew a trip to the gym would bring my mental energy up! Endorphins always have a way of making me feel better. 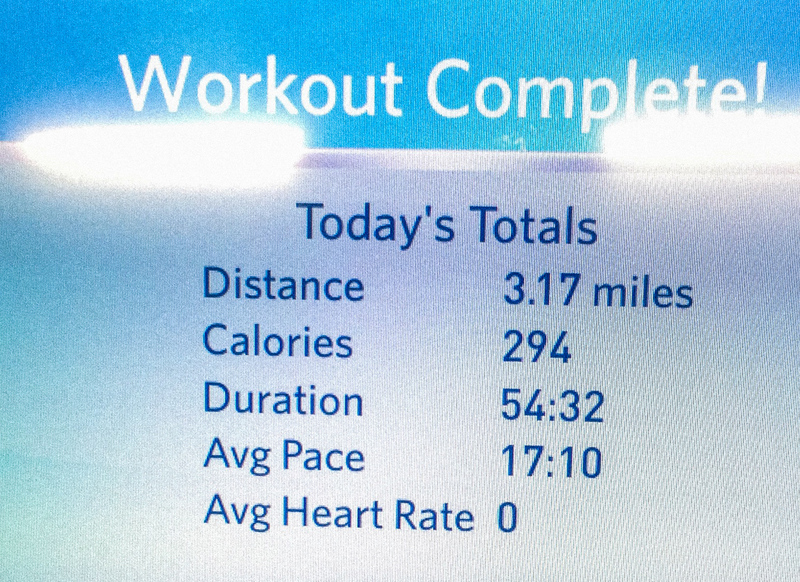 😊 I did 3.31 miles without any incline but at a very fast walking pace. For dinner, I heated up my crockpot vegetable chicken chili. This was pretty much every meal last week. I spent Wednesday writing and getting all the plans for the weekend mapped out. 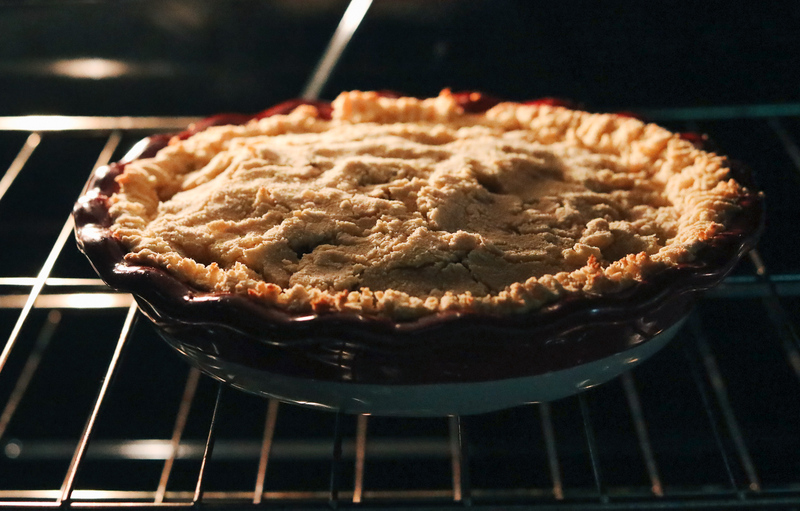 Later in the afternoon, I worked on perfecting my healthy & low-carb pie crust with the leftover apples in the fridge. I definitely nailed it this time around, and it’s finally ready to make it’s way to the blog! You can expect two delicious pie recipes and low carb pumpkin bars! After cleaning up the kitchen, I headed to the gym with Kyle to get my steps in. I’ve been thinking about going back to some classes, but I just feel so much better walking and staying active in different ways. I may have finally found what works for me! I don’t have the strong core like I used to, but my mental state is so much better. I think that’s more important. After getting cleaned up, I heated up a bowl of soup for dinner, and then tuned in to our favorite show on T.V. at the moment, The Sinner! I think this season is better than the first. That’s saying a lot since the first season was outstanding! 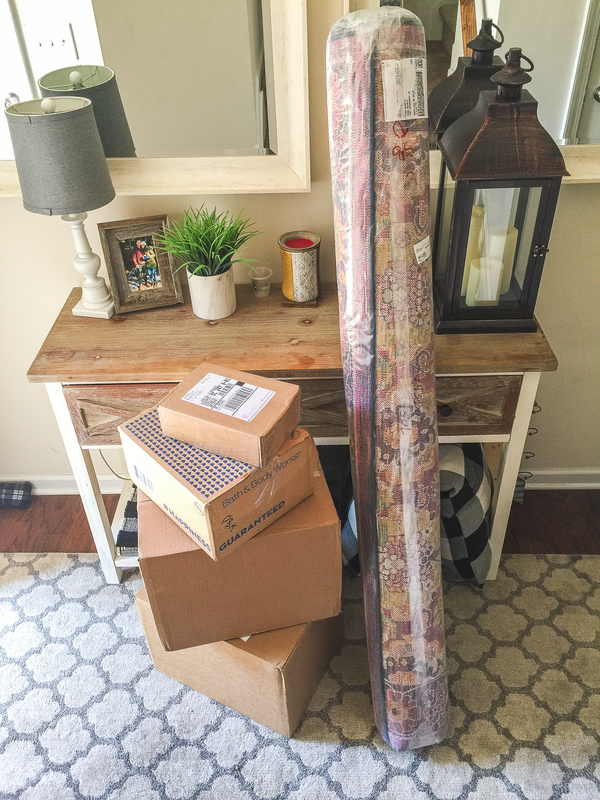 My rug finally showed up on Thursday and I was so excited to pull the office together with it! Make sure to get all the details and see the office makeover with some additional home before and afters on this post! After fixing up the office, I headed to the store to pick up a few things for the trip! 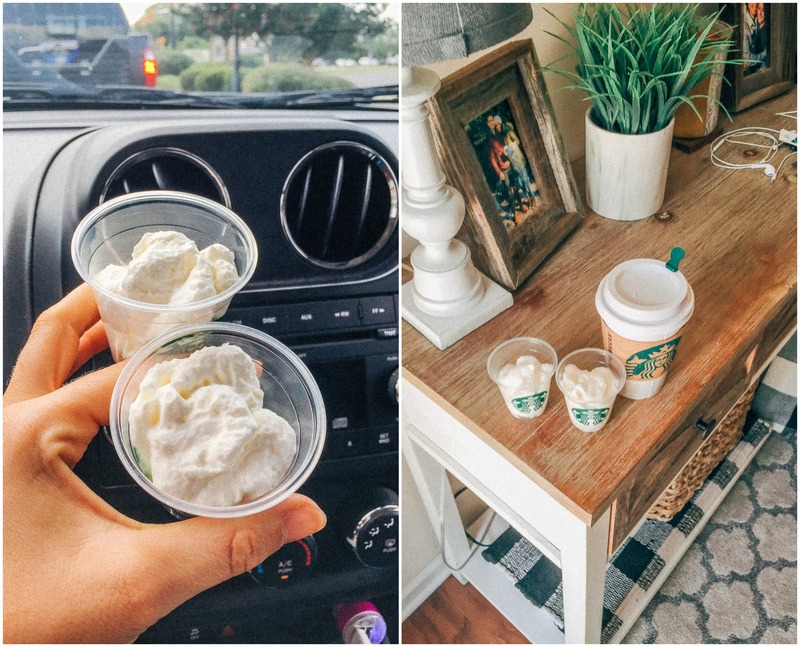 I wanted to share a couple things I tried because I had a lot of you asking about them on Instagram. 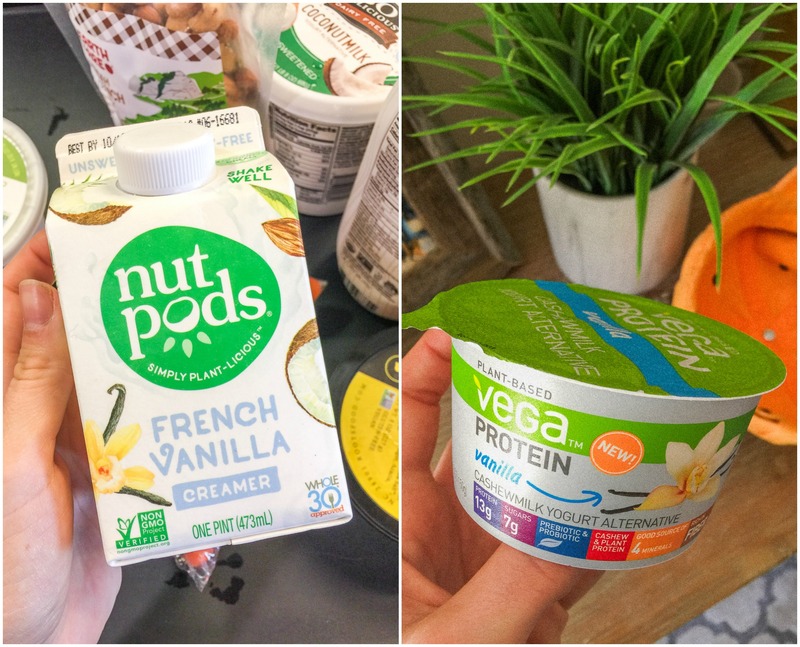 The nut pods creamer! I bought this because my mom has been looking for a good plant-based creamer for her coffee. I tried it out and loved how light it was. It added great flavor with no sugar at all. It’s also Whole 30 Approved. The Vega protein…Not my favorite. Unfortunately, I couldn’t finish it because it had such a weird taste! 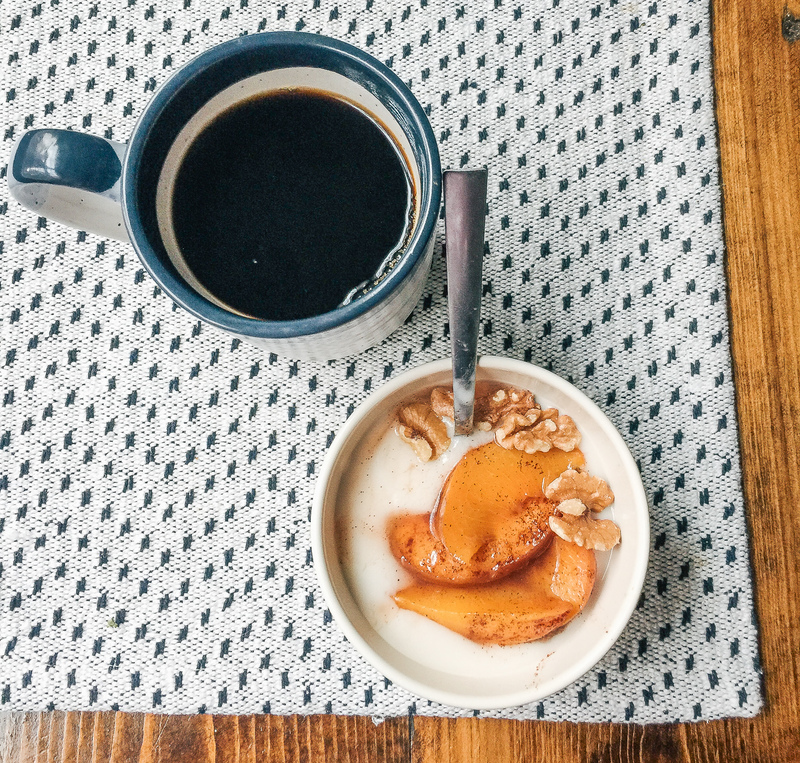 I love added protein powder to my plain coconut milk yogurt and will just stick with that! I wouldn’t waste your money on it. Their protein powder and bars are better. I had Kyle go to the gym without me on Thursday. I wanted to stay home and catch up on work and start packing for the trip. 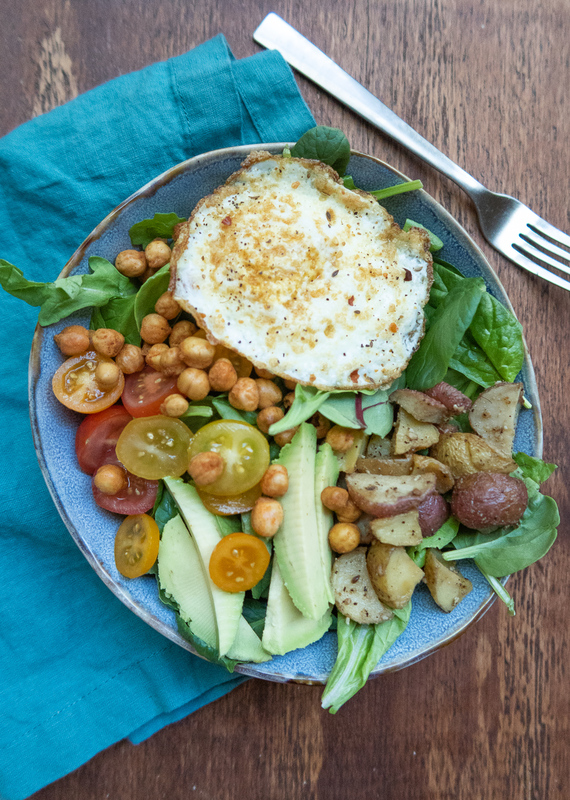 For dinner, I made a salad that consisted of spring mix lettuce, avocados, cherry tomatoes, chickpeas, roasted potatoes, and a fried egg. I used the Organic Girl Herb Goddess dressing on top. I always let the egg cool before adding it to the salad. Warm food doesn’t belong on a salad! 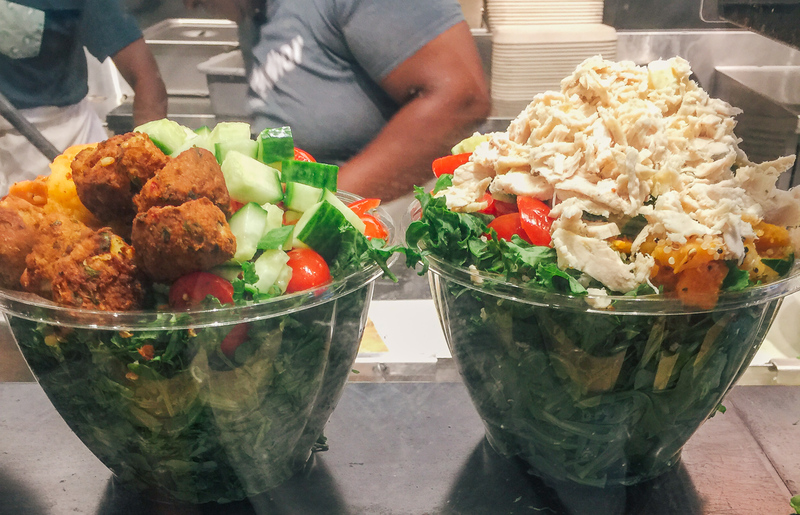 On Friday afternoon, I took my mom to an appointment in Charlotte and then we stopped at Chopt so I could pick up salads to bring with me for the weekend. 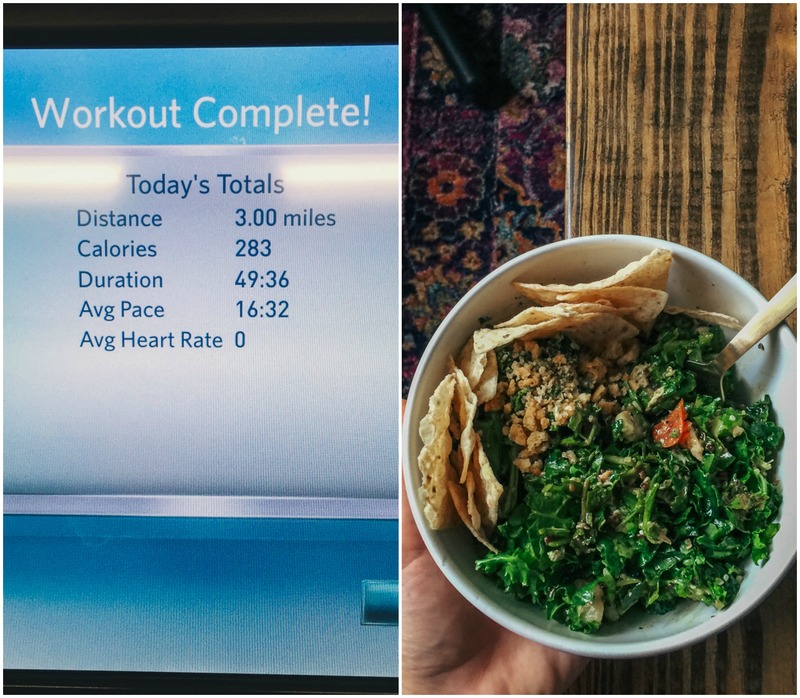 I didn’t feel like grabbing a ton of salad ingredients, and this was just so much easier! Plus, they’re SO GOOD! 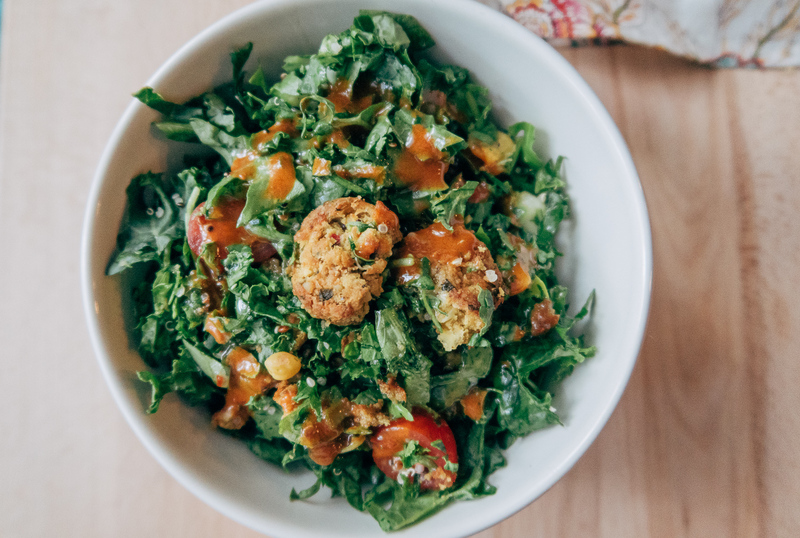 The salads had, kale, arugula, cucumber, butternut squash, quinoa, tomatoes, chicken, falafel, and a side of hot honey vinaigrette! Kyle asked if I could make his favorite protein balls to bring on the trip! They only take about twenty-five minutes to make, and really come in handy when you need a quick snack! 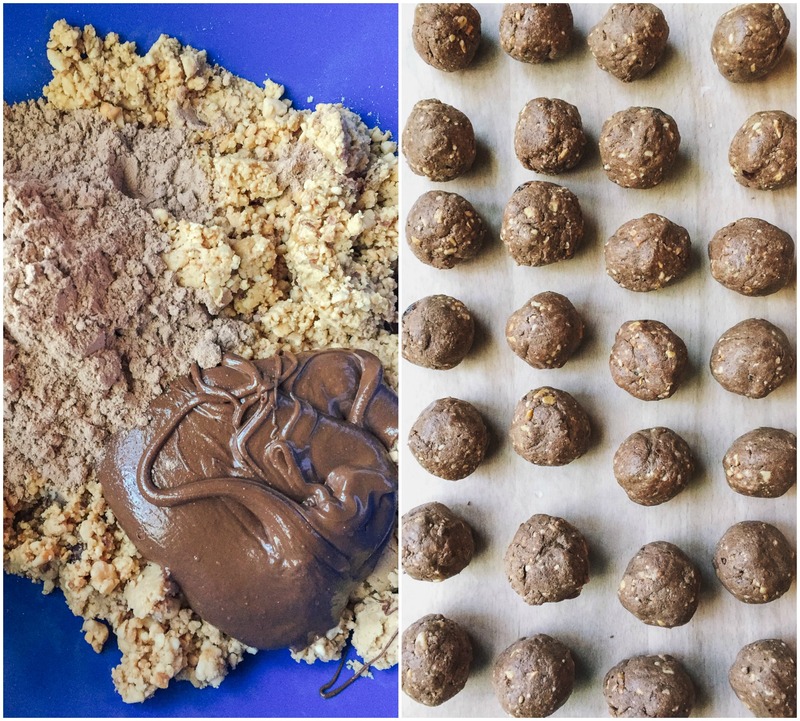 The recipe for the chocolate hazelnut protein balls can be found here, and the recipe for the chocolate chip oatmeal balls can be found here at the 14:05-minute mark! I had a bowl of the Chopt salad after packing up the car! I was so hungry and wanted a bite to eat before the drive up to the mountains. Grumples always has to sit in the middle of us on car rides! 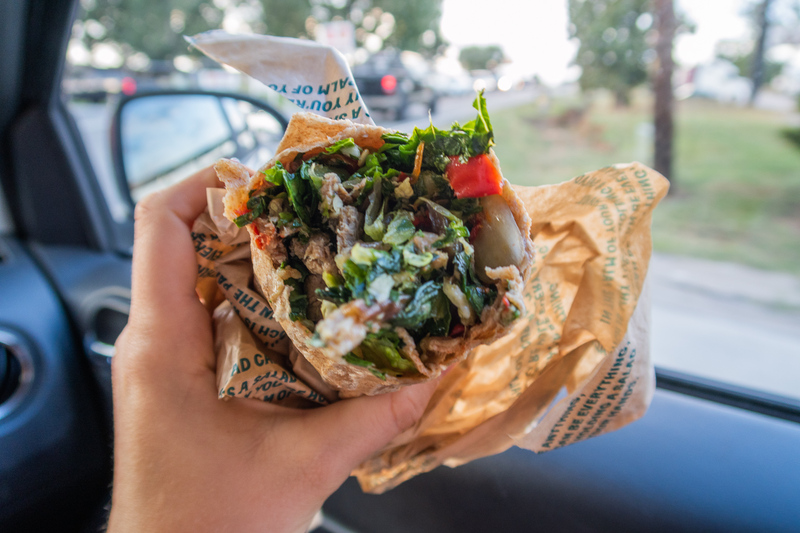 I knew Kyle would get hungry, so I picked him up a steak wrap from Chopt for the ride. 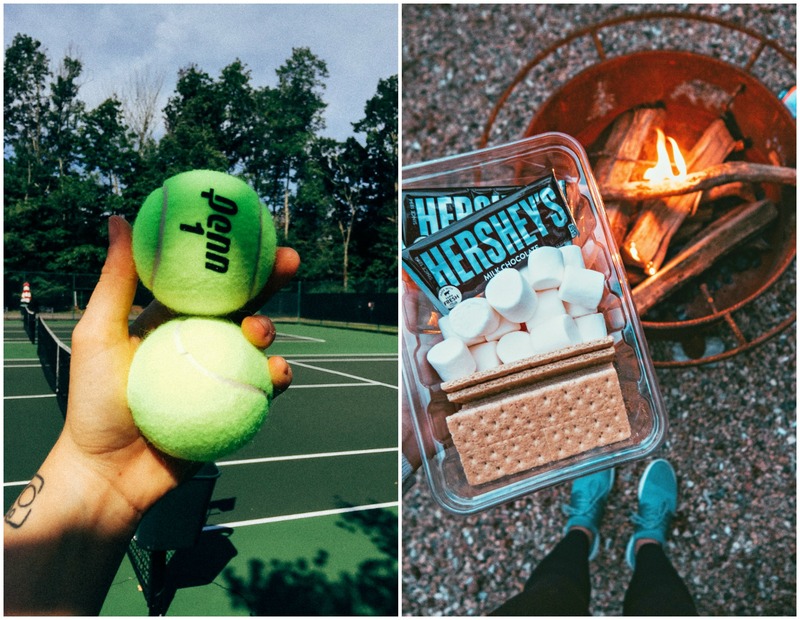 We spent the weekend roasting marshmallows, going on small hikes, playing tennis, grilling out, fishing, walking the dogs in the park, exploring, and so much more! I’m so so so so excited for you guys to see the pics! I woke up so early yesterday morning to take photos as the sun came up over the lake. There was one tree down there that was already changing for fall, so I make sure to capture it to bring you those fall vibes! The weekend at the mountain house was amazing!! We made it home around 1 pm on Sunday afternoon. I unpacked, grocery shopped, picked up the house, made a cinnamon latte, and headed upstairs to work for a bit. I didn’t plan on going to the gym, but I figured it would be good for me. I always get fomo when Kyle heads to the gym without me. He’s a great motivator. I had the last of the Chopt salad for dinner, and then closed up the laptop to spend Sunday evening with Kyle and the boys! 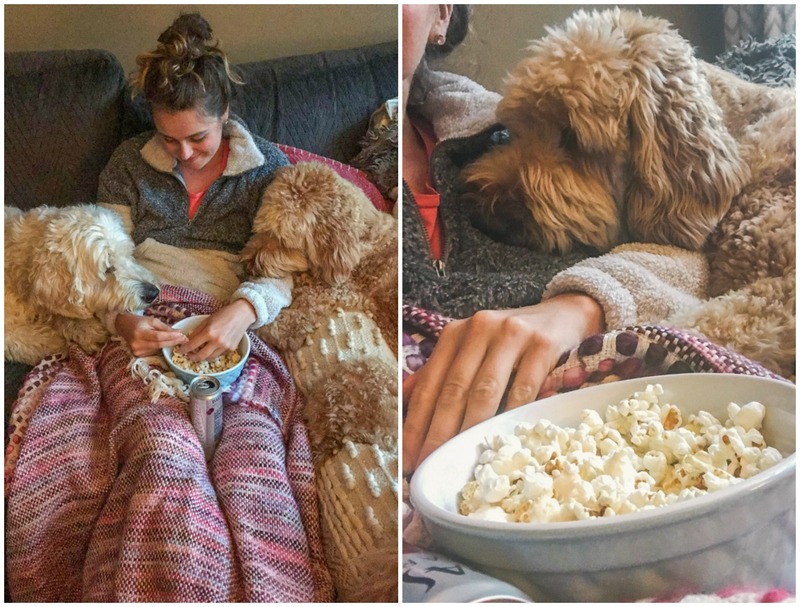 We ended the rainy night watching Jack Ryn (OMG SO GOOOOOOD) and eating popcorn! 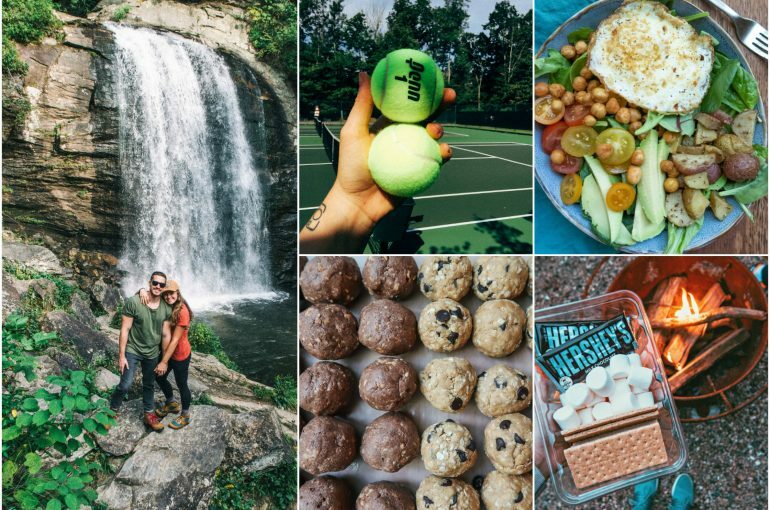 What is one snack you like to make and bring on trips? Whats a product you’ve tried lately that failed you? 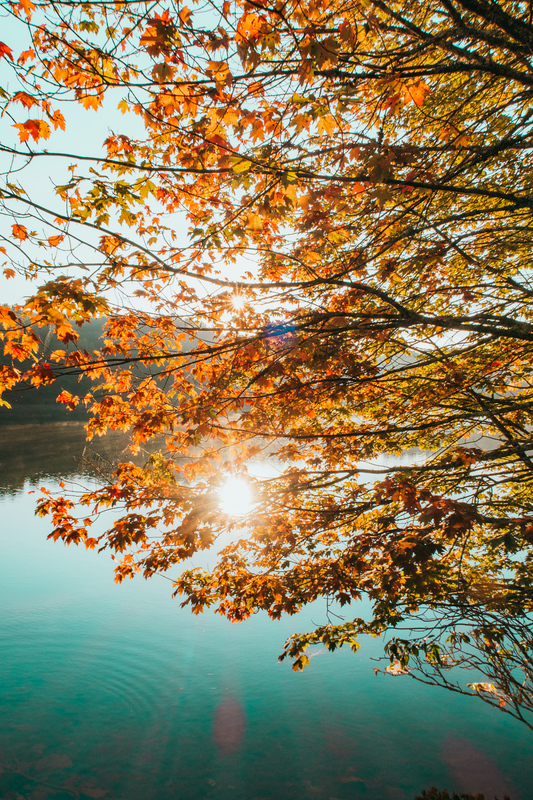 Have any of the trees changed colors where you live? 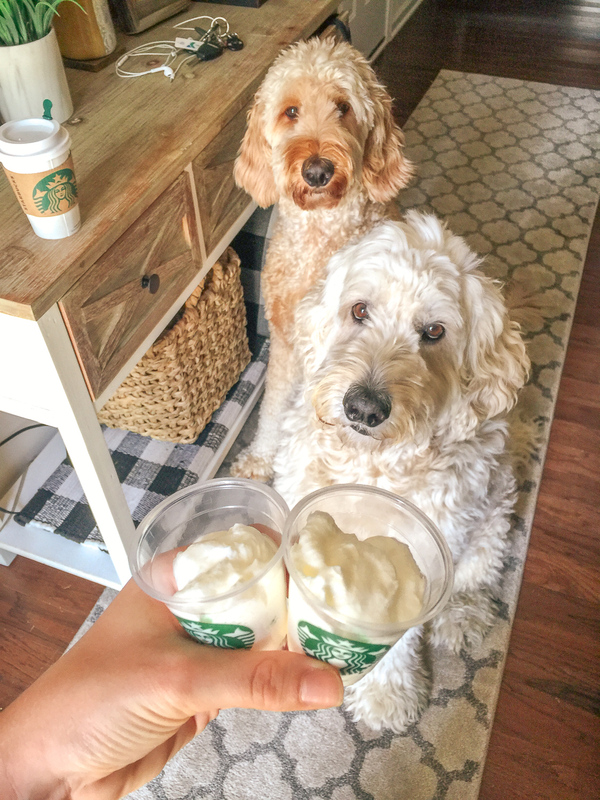 Those puppacinos are too cute! Thanks, Viv! The pups love them! 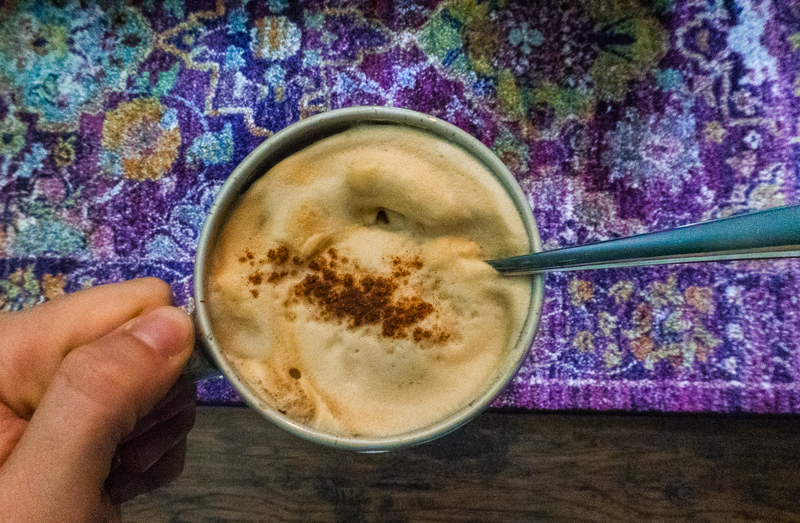 How did you make the foam for your latte? It looks like something from a coffee shop. 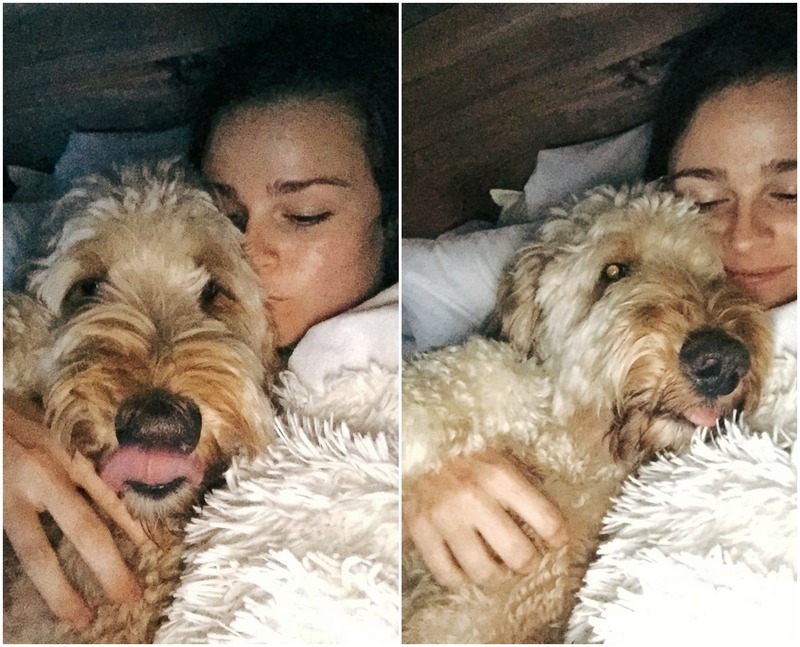 Your pups are too cute! Did your parents go with you guys? I wish I could go on family camping trips!!! Yes! They met us up there 🙂 They hadn’t been up that way, so it was nice to have them out there! You and Kyle are so sweet for one another! Love the blog! I have been following you for years ! I am wondering…what kind of camera do you use ? I just love all your pictures. They are are so bright and lively ! 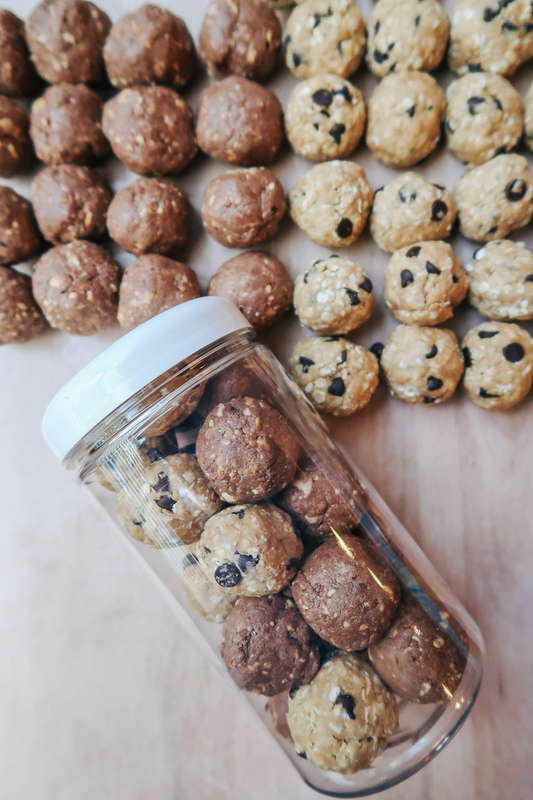 Protein balls or bars are a go-to! I also love making hummus and tortilla chips 🙂 Muffins are always a good option too. I purchased a pricey hair product that’s supposed to rebuild and restore the strands of my haystack hair, but I saw no change. It’s worked for so many people apparently, but the $5 conditioner I’ve been using does more for my hair than this product. Hey, now I know! Not yet- Pennsylvania has been pretty much soaked by rain for the past 6 weeks and we’re getting more all week. I’m hoping this means we will have a BEAUTIFUL fall though! I’m so sorry to hear about your friend. Your tribute to her was so sweet and inspiring. Those are all great road trip options. I need to start making my homemade hummus! When it comes to hair products, it’s so hard to find what works best since we all have different hair types! I’ve found that Theorie and Pureology work best for me. I have really dry/curly hair and it makes it soft and smooth. If I can get a brush through it, I’ll be happy. You get the most gorgeous Fall foliage up that way for sure! Stay safe during the hurricane, Taralynn! Sorry to hear about your friend 🙁 I am glad you had a great weekend! The pictures are gorgeous!! I am new to your blog but I loved it and I think I will be a regular reader! In terms of road trip snacks, I take that as my time to indulge in guilty pleasures I usually avoid. It makes a long, borring car ride just a tad more enjoyable. For me, I indulge in peanut butter cups or a big fountain soda! 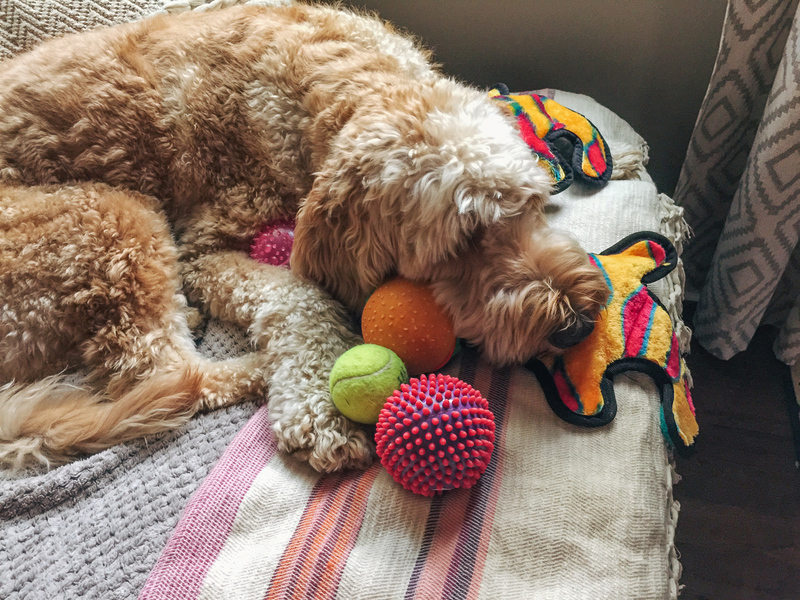 I’m so happy you have found my blog and welcome! I’m so sorry to hear about your friend. It really is the people that make the biggest impact on the world that leave first, simply because they’ve completed their work here and made a difference so quickly and make their way back to heaven. You’re lucky to have been influenced by such a positive, wonderful woman who brought others up and encouraged you! 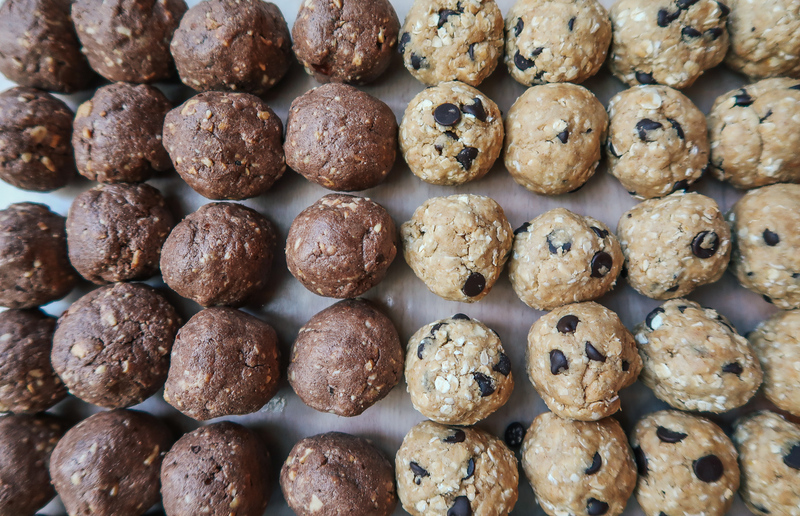 We love bringing protein balls and muffins on trips! 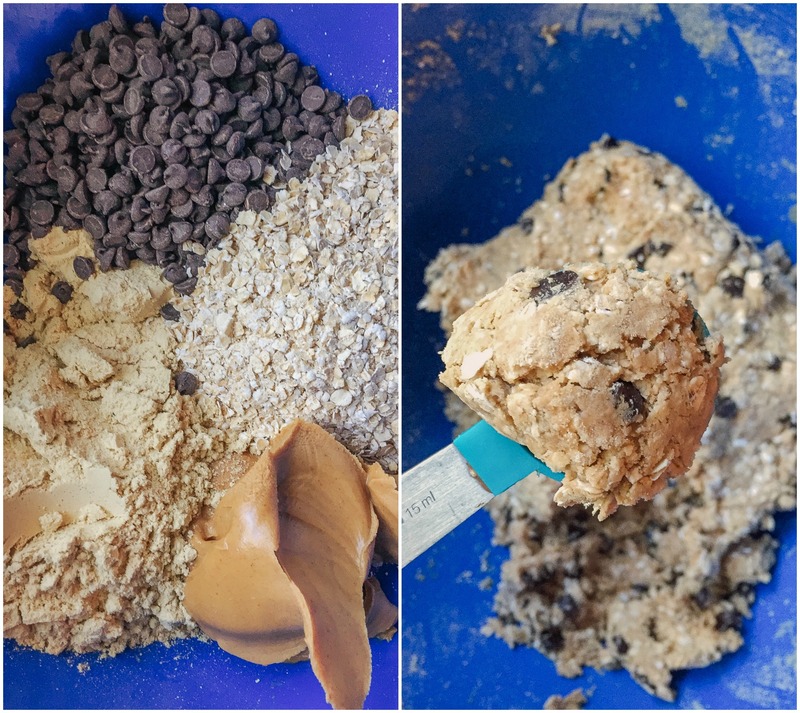 Definitely hooked on your blender muffins for traveling now. They’re perfect. I just tried the Trader Joe’s vegetarian Bahn mi bowl and it was… not finish worthy. I was so bummed because their stuff is usually so yummy. And the leaves are beginning to change here for sure! We have so many aspen trees in the mountains and it’s honestly just magical when they all start to turn! Prayers for you and the loved ones who are missing Kyrzayda, I know you will all live in a way that makes her proud! You are very right! A great way to put it. So happy to hear you love the blender muffins for trips. A great treat for on the go. You always make me want to visit Colorado! I may have to make that happen this year. Have a beautiful week ❤️ You always bring so much positivity and light! Thank you. Thank you for such a beautiful message for your friend. It is something we all need to hear as well! I had no idea you posted YouTube videos! I’ll be binge-watching all night! I tend to bring nuts, string cheese on trips. I also bring lots of water! Nope, I live in Az so it wont be fall for at least a month! Love reading your blog! I am starting the process of eating healthier by reading How not to die and catching up on your blog!! Bringing water is also a good idea. I need to start drinking more! 💜 Thanks for the kind words about my blog! Looks like a beautiful area! Love the pics. Also very sorry to hear about your friend =(. I’m glad I’m not the only one who didn’t like the Vega yogurt. I love their protein bars and protein but the yogurt was dissapointing. Another dissapointing product I recently tried was the IT Cosmetics Superhero mascara. I got a trial size for free not too long ago and it was awesome, so I bought the full size and it seemed totally different? I feel like the trial size had a different brush or something because the full size just seemed clumpy and flaky and all around awful ha. I always bring turkey jerky and quest bars on trips! I find that mascara is all about the brush vs the actual mascara itself, so maybe! The IT cosmetic brushes are too big IMO. Turkey jerky is my snack savior! Taralynn, I am SO sorry about your friend. As someone who has lost friends before I know how heartbreaking it is. What you wrote about her was beautiful. The salads from Chopt are HUGE holy moly! 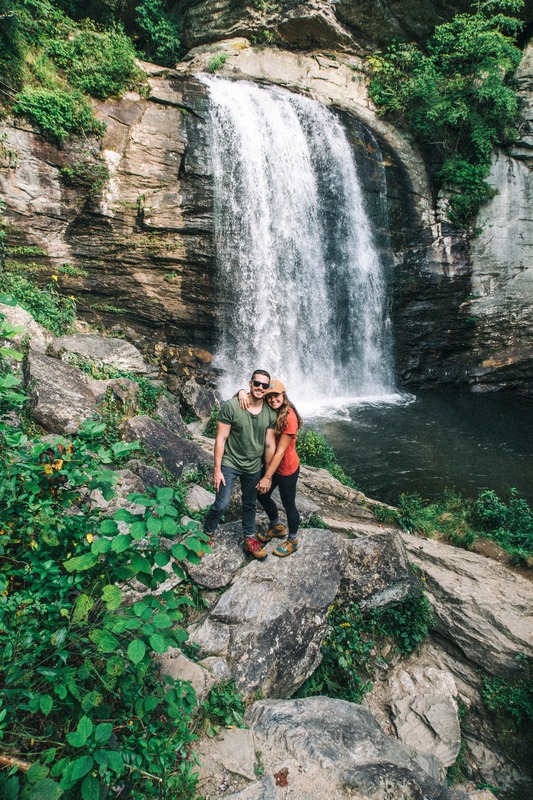 I am so excited to see your photos from your mountain weekend. 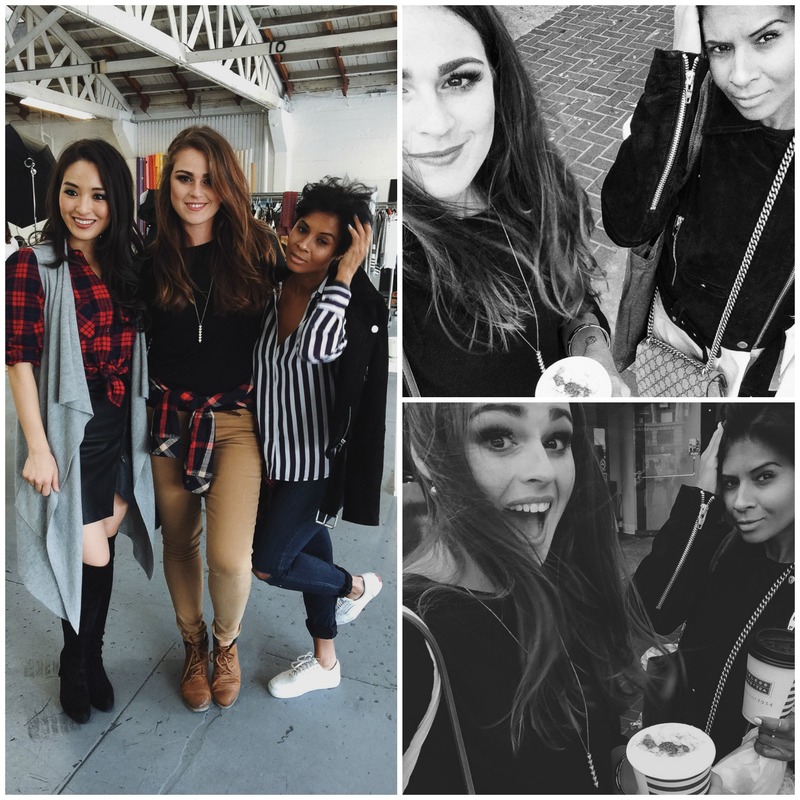 Tara, I swear you have the most beautiful life! 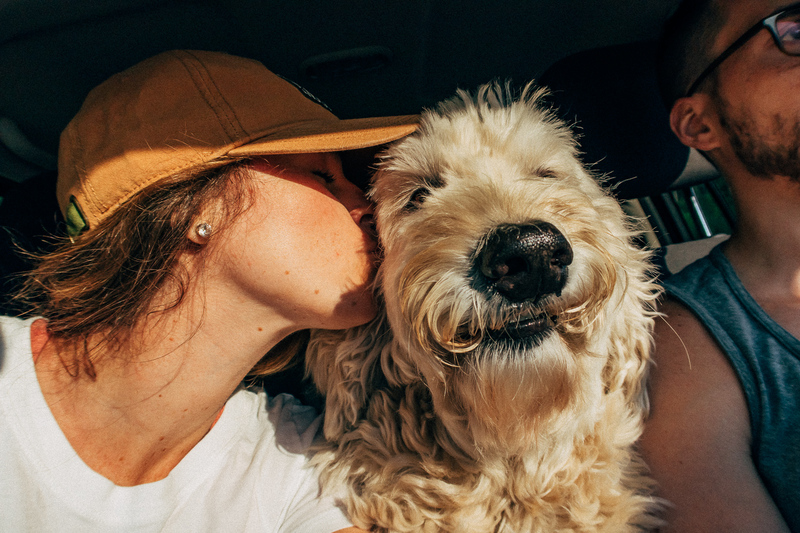 From the dogs, to your love, it’s all so beautiful! Also, your food always makes me nearly drooooool! I didn’t know of Kyrzayda before the weekend, but I truly wish I did. RIP to such a powerful, beautiful soul. Thank you for sharing your amazing experience with her. Thank you for your kind words about Kyrzayda. She was indeed powerful and will continue to inspire others forever. xo Have a great week, too! Honestly, this is really hard to transition to answering questions, but one snack that I like to make and bring on trips would have to be some sort of baked good. For this storm, I’ll be making a few things, including bread to have with chili or curry, zucchini bread (gotta use the last zuke), said chili and curry, some rice to keep for the time that we’re out of power (it’s uncertain right now as to what “category” the hurricane will be for us out here, the Outer Banks is evacuating between today at noon and tomorrow at 7 am but we haven’t gotten evacuation orders inland here), and maybe some cookies. One of my friends has to stay on the military base here to wait out the storm all week/weekend with a coworker, so I’m thinking of making cookies for them to bring in tomorrow before the base closes. We’ll see what happens though; it all depends on whether my husband wants to leave tomorrow, based on the weather. I hope you certainly get to safety and prepare. I know it’s going to be a rough one. We are going to get the effects all the way in Charlotte, so I can’t imagine what will happen closer to the shore. So sweet that you’re making baked goods for the military base. Stay safe!! I’m beyond excited to hear about your weekend away! Yes, the Chopt salads are so good and GIANT! They last for several meals!